What are nichelin and kanthal? What are nichelina and kanthalul? In the link below, it shows our complete wire resistive, including different types of Kanthal and nichelina: Kanthal wire and Nichelina. – Kanthalul A1 (22% Cr, 5.8% Al, remainder Fe) has a melting temperature of 1400 ° C, while the standard type (22% Cr, 4.8% Al, rest Fe) melts at 1300 ° C. Remember, it’s melting temperature. – Nichelina (think “Nikrothal” or “Nichrome” 80 is more popular, 80% Ni, 20% Cr) has a melting temperature of 1200 ° C. I mention this only as a comparison, but as I said above, if kanthalului, the melting point is nonessential for me. – Nichelina has resistivity less than kanthalului: Nichelina 80 -> 1.09 ohms * mm² / m compared to Kanthal A1 -> 1.45 ohms * mm² / m. Resistant can build larger (in terms of size) for the same ohmic resistance. – Appears a term – “emissivity” material. Definition: an object emissivity ability to emit or absorb energy. “Emitters” were emissivity perfect “1”, emitting 100% of incident energy. 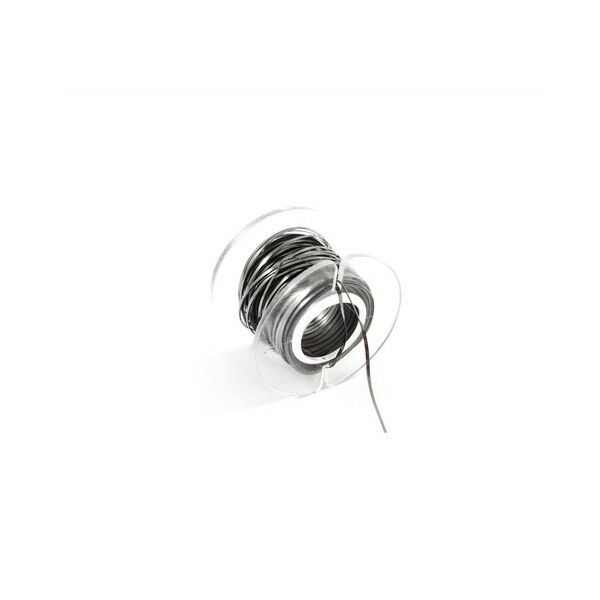 Kanthal A1 emissivity is 0.70, while that of Nichrome 80 0.88. For example, emissivity silver is 0.01 (ie reflects and transmits very good, does not absorb – can not be used as a radiator), while the “black body” is 1 (the energy emitted is equal to that absorbed – radiating perfect). That makes nichelina be better than radiating element (resistance in our case) than kanthalul. Energia “absorbed” is the one that turns into heat, our resistances. 1) Al oxide (Al2O3) format kanthalului better adhere to the surface, so it is less contaminant. It is a better electrical insulator (best so for genesis sites) and best atmospheres resistant than carbonated Cr oxide (Cr2O3) nichelina format. 2) Al oxide (Al2O3 or alumina) formed on the surface kanthalului is light gray (if the temperature exceeds 1000 ° C) or darkens as 1000 ° C. Alumina has excellent electrical insulation properties and good chemical resistance in front of many compounds. Cr oxide formed on the surface nichelinei (Cr2O3) is dark. => Nichelinei most important advantage is that it has a high resistance to corrosion at room temperature. Oxide breaks off and evaporates more easily than thicker oxide formed on the surface kanthalului. Another reason for going only as Kanthal is formed on the surface oxide nichelinei is Cr oxide. He can be multi-valent, and is known (clearly shown) as penta and hexavalent oxides are carcinogenic. Now, higher valence oxides are formed only at high temperatures (from several hundreds of degrees up). 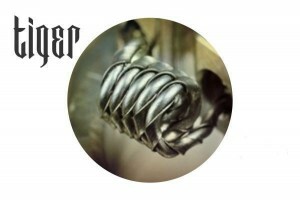 Wire for atomizers: Clapton, Hive, Quad Twisted, Tiger and Twisted. The package contains 5 pre-fabricated coils. Designed for easy and convenient use. 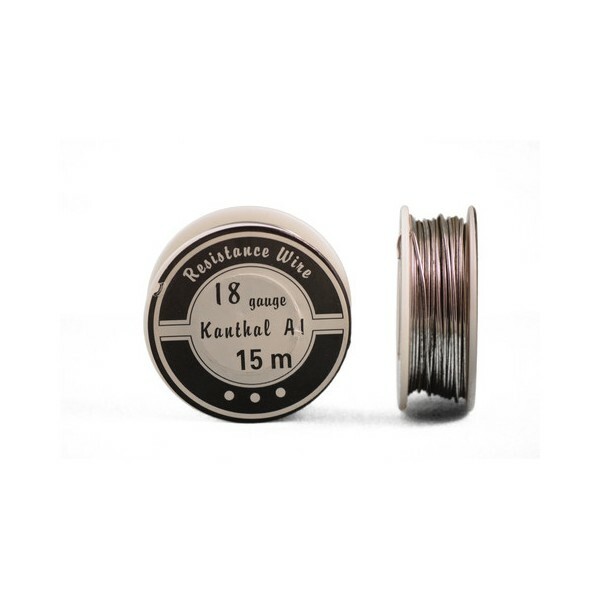 Resistant ready-made from Kanthal A-1, consisting of 0.8 flat ribbon wire. Perfect for any ADR. All coils are packaged in containers resistant to ensure safety during important transportation produdului. These twisted wire coils from Wotofo are perfect for your atomizer. Now all you have to do is to trim the ends and screw them into your RDA to get those vapors you’ve dreamed of. Designed for easy and convenient to Wotofo wire comes in a variety of unique styles: Clapton, Hive, Twisted, Twisted Quad or Tiger. 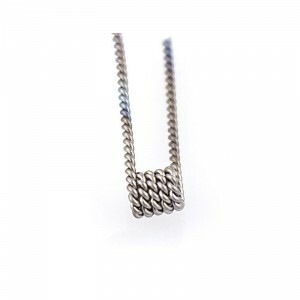 Packaged in a box strength, each kit contains 5 pre-fabricated coils of high quality. 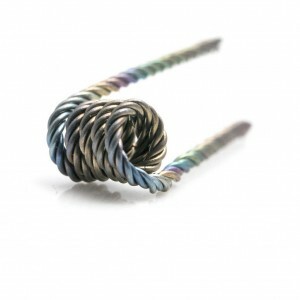 Kanthal Heat Resistance Ribbon Wire. 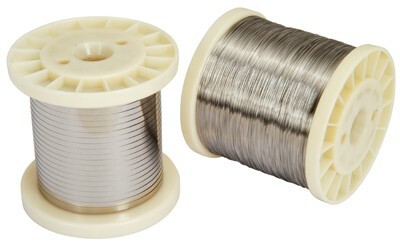 Kanthal Ribbon Resistance Wire 0.5mm x 0.1mm. Coil wire length = 9.5 meters. This ribbon wire works great for rebuilding atomizers! It has a greater surface area for larger vapor production. The flat ribbon is more stiff than the standard resistance wire. Once it is setup, it holds together really well and the flat surface of the ribbon makes cleaning off the wire extremely easy. Kanthal A1 Resistance Wire typically used for Rebuildable Atomizers (RBA/RDA), electronic cigarettes and building your own coils. 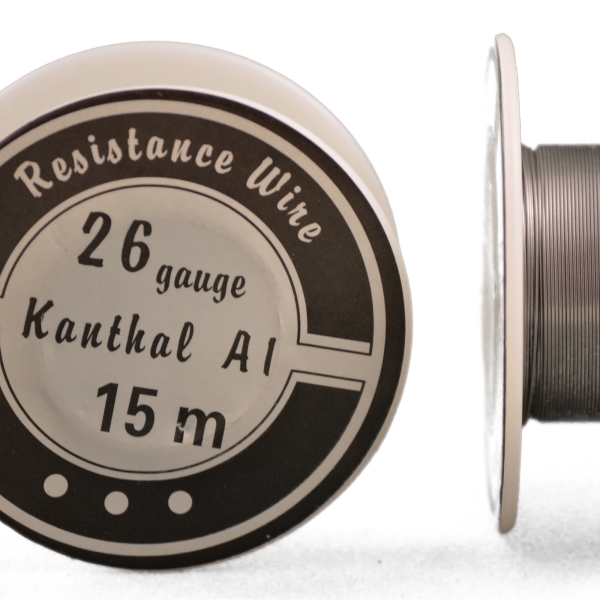 These Premium Kanthal A1 Resistance wires comes in 15 Meter Rolls. 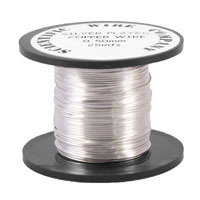 This silver wire is recommended to be used at atomizers with removable resistance . It is very used as a low resistance wire for eelctronic cigarette’s resistances . 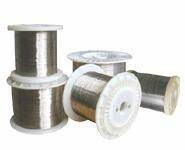 Kanthal wire (aluminum-iron-chromium alloy) has a lifetime of 4 times more than nichelina wire because of aluminum oxide that protects the wire. Moreoverwithstand at much higher temperatures, has a higher electrical resistance andthermal expansion coefficient is lower than nichelina wire. Can be used to replace atomizers /cartomizers resistance. In conclusion we can say that the kanthal wire has a longer lifetime and nichelinawire gives more pleasant flavour. 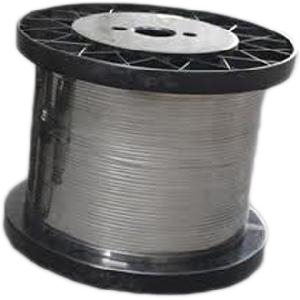 Nichrome wire is used for construction, repair, upgrade atomizers, both separately and together with silica thread, cord, and tube.